Synopsis (from Amazon): Despite the tumor-shrinking medical miracle that has bought her a few years, Hazel has never been anything but terminal, her final chapter inscribed upon diagnosis. But when a gorgeous plot twist named Augustus Waters suddenly appears at Cancer Kid Support Group, Hazel’s story is about to be completely rewritten. One (or more) Sentence Summary: A teenage love story, that has such a sad ending. Favorite Character(s): It is a tie between Hazel and Augustus. I loved them both and their story. Cover: Sorry, but I don't get it. What Others Are Saying: TIME Magazine’s #1 Fiction Book of 2012! 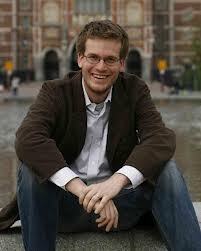 Would I Read Other Books by the Author: I would read another book by John Green. Meet the Author: John Green is a New York Times bestselling author who has received numerous awards, including both the Printz Medal and a Printz Honor. John is also the cocreator (with his brother, Hank) of the popular video blog Brotherhood 2.0, which has been watched more than 30 million times by Nerdfighter fans all over the globe. John Green lives in Indianapolis, Indiana. Connect: You can connect with John online at his website. 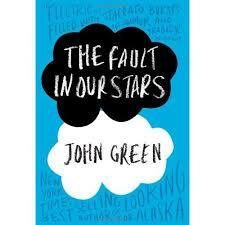 Purchase it: You can purchase The Fault in Our Stars online at Amazon for $17.99 ($3.99 Kindle version). This is a wonderful book, and I'm not sure he's had a misstep yet. My personal favorite of his is Paper Towns, but I'm loving how this book is expanding people's knowledge of his work and young adult lit in general.